A catastrophic earthquake has struck the city. Save as many patients as you can before the hospital collapses! 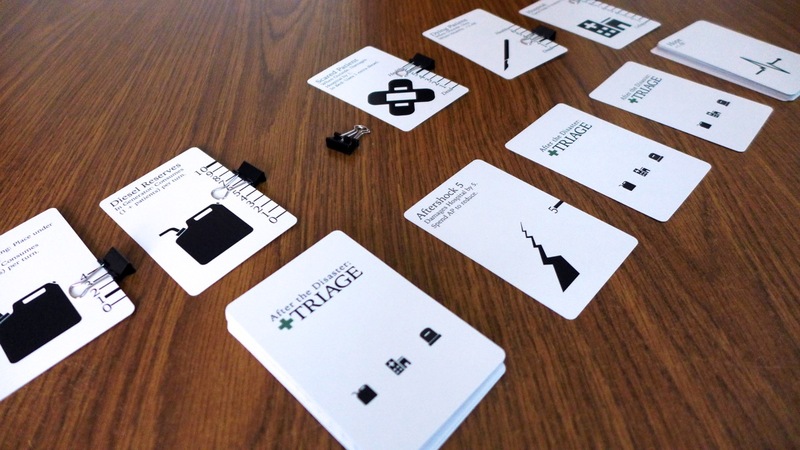 After the Disaster: Triage is a solitaire game where you determine who will survive the aftermath of a terrible earthquake. As the disaster coordinator, manage your staff in admitting and healing patients, siphoning diesel for the generator, and keeping the hospital intact during aftershocks. But how will you handle the panicking and dying patients you leave outside? Each turn begins with handling new issues for the hospital: Survivors who need help. Aftershocks that damage the hospital. A diesel source that could be scavenged. After managing the situation, you'll balance patient survival with keeping the hospital running during the crisis using your remaining action points. Each turn ends with the generator consuming diesel and survivors left outside worsening or taking matters into their own hands. 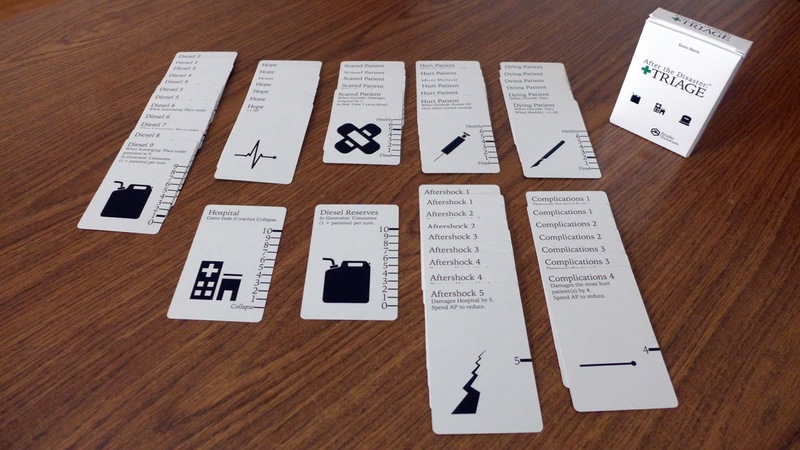 The game ends after the immediate crisis has passed and all patients have been healed or have passed on…or the hospital collapses. The core edition includes a tuckbox and 54 cards with an embossed texture and UV coating for ease of shuffling and durability. You'll need to supply a way to track values---small binder clips work well---and optionally a way to track action points. Ensure that you select the "Print-and-Play PDF + Card(s) in Tuckbox" option for the complete rules. 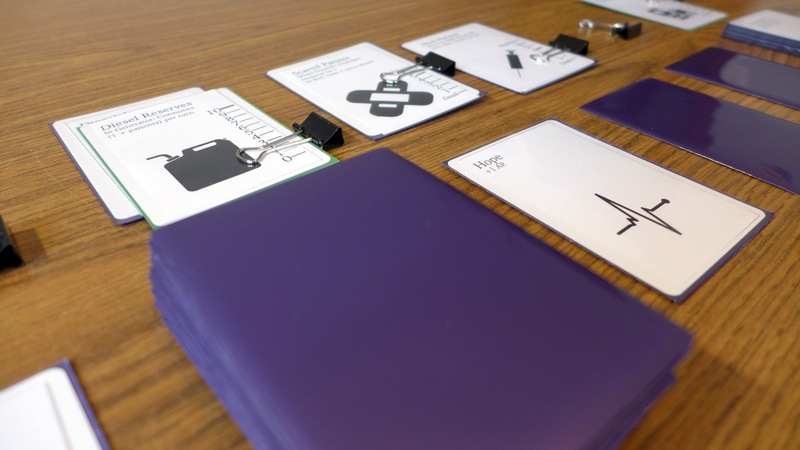 The print-and-play edition includes 54 cards and updated rules for the cards. 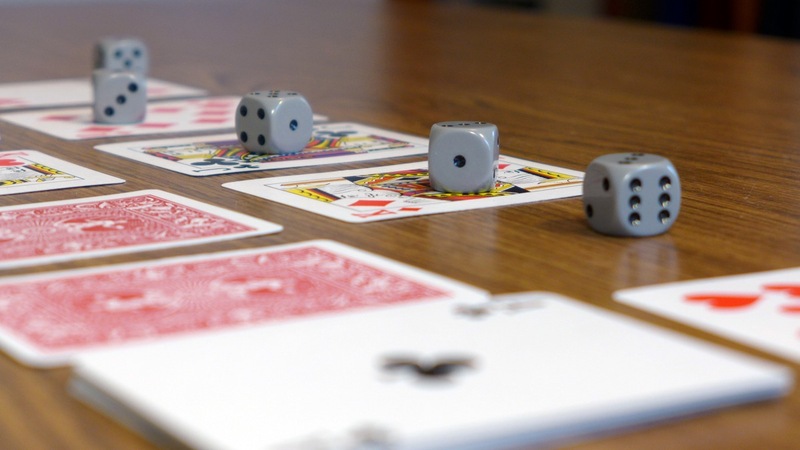 The cards are bridge-size and are easy to use with either bridge- or poker-sized sleeves. You'll also need to supply a way to track values, such as small binder clips, and optionally a way to track action points, such as a 10-sided die. Two poker decks of 52 cards. An optional 10-sided die, pen and paper, or other way to track action points. A copy of the rules (PDF) available above. Click "View Rulebook" to download them.